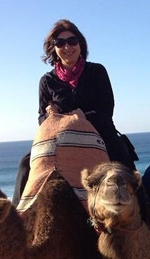 Please join me in welcoming the bestselling author Josie Riviera to Conversations today! Josie is here to talk about her new release, Seeking Patience, her inspirational Regency romance about a Romany (Gypsy) man and a countess! So be sure and check out the cover and blurb below! And don't forget to check out her bio too and get to know Josie Riviera. 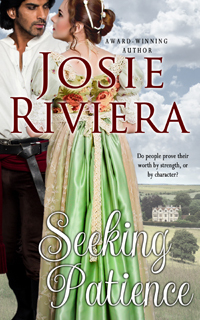 Best-selling author Josie Riviera writes Historical, Inspirational, and Sweet Romances. She lives in the Charlotte, NC, area with her wonderfully supportive husband. They share their empty nest with an adorable Shih Tzu who constantly needs grooming and an old house forever needing renovations.